Our plan is to introduce external water from the aft sea chest where the draw is between 7 and 9 feet below the water line.At this point, There is little danger of taking in trash since most pollution either floats (oil, fuel, plastics), or sinks (metals, glass). The occasional crustacean or bait fish could compromise the intake so we will incorporate a bronze strainer along with the seacock to shut off the system. In efforts to provide humanitarian relief after natural disasters, Fir must be able to operate in shallow waters and muddy rivers. Under these conditions we will need a filter designed to remove suspended solids larger than 20 microns. 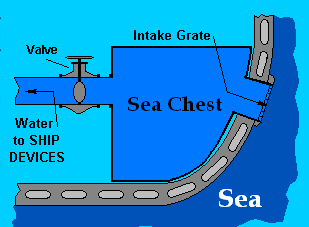 A sea chest is a rectangular recess near the bottom of a vessel from which piping systems draw raw water for cooling or other uses. Both organic and inorganic particles of all sizes can contribute to the suspended solids concentration. Some sediment will settle to the bottom of a body of water, while others remain suspended. Removing sediment is a critical to protecting expensive equipment. Our domestic booster pumps are designed with very tight tolerances between the impellers and pump bodies. Not only would sediment act like sandpaper on our carefully machined parts, it would clog our Reverse Osmosis membranes. Each mechanism in this network is expensive to replace so we will be working with our water consultant to design the appropriate system. That said, we do have a few goals and ideas of our own. 1. Backflush: We want the initial sediment filter designed to be backflushed (similar to what exists on most pool filters). Most filters are designed around a cartridge that traps suspended solids in excess of a certain size. Once the cartridge medium becomes blocked it needs to be replaced. A supply of cartridges will be limited when operating in less developed regions, therefore we prefer a filter that can backflush the medium. When the filter medium is saturated with contaminants, the control valve initiates a backwash. 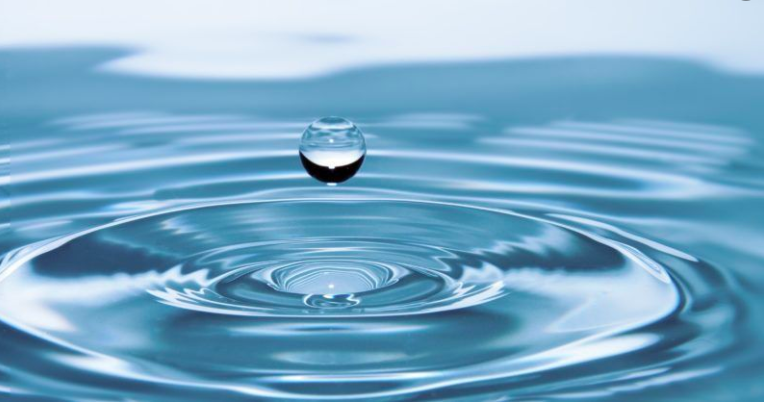 The backwash is an operation in which water passes backward through the filter at a rapid rate. The brisk flow, in addition to washing away stored impurities, fluffs and resettles the medium bed, preparing it for another filtering cycle. 2. Automation: Our filtration system should automatically backflush the filter, and most automated systems operate on a regular schedule. Since our use and the conditions will vary we want to backflush based on the differential pressure between the supply and output lines. The difference in pressure increases as the system becomes clogged and the backflush cycle begins. 3. Materials. We believe a system fabricated from 316 stainless steel would be more durable then that of fiberglass or plastic. Unlike other materials, steel can absorb external impact in addition to handling internal pressure.